Regular exercise plays an important role in a healthy and happy life. It can help you keep a healthy body weight, maintain a good body shape, increase life expectancy while reducing risks of many chronic diseases. Regular exercise can also improve your mental health, protect you from depression and anxiety, improve your self-confidence and emotional health. Strength training is not just a macho activity. It is for everyone. Lifting light weights may not make you have big muscles, but it will make your muscles strong. Muscles can lose their strength over time if you don’t use them, so regular strength training is important. Stronger muscles also help burn more calories so that you can maintain healthy body weight. When doing strength training, you should start light, with maybe just 1-2 pounds for more than 10 times. Gradually, you can increase the weight. Tai chi is a Chinese martial art that combines movement and relaxation. It is called “meditation in motion”. The big feature of Tai chi is that it made up of many graceful movements, one smoothly transits into another. The exercise is for all ages and all fitness levels. You can find classes at various levels. Swimming is a perfect workout, especially for people with arthritis. 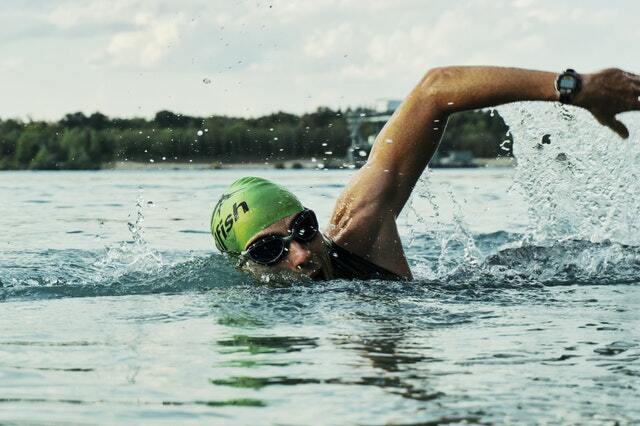 In the water, your painful joints are supported and relaxed because the exercise is non-weight bearing. Swimming can help with your mental health. Research shows that swimming can improve your mood and emotional health. Walking is a simple yet powerful physical activity. It can help you stay trim, get better blood cholesterol levels, maintain healthy blood pressure readings, strengthen your bones, and lower the risk of diabetes and heart disease. For older people, walking can help improve memory and prevent age-related memory loss. It is very easy to do walking. Experts suggest people start walking for 10-15 minutes every day and can gradually increase the time. You also can walk faster as you continue to do it. Brisk walking is very beneficial. Try to do it for 0.5-1 hour every day. Kegel exercises can strengthen your pelvic floor muscles, so you can control the bladder well. With strong pelvic floor muscles, you don’t need to worry about incontinence. Kegel exercises can benefit both women and men, but it is particularly important for pregnant women and new mums. To do a Kegel exercise correctly, squeeze the muscles you would use to prevent yourself from passing urine or gas. Hold the contraction for two or three seconds, then release. Make sure to completely relax your pelvic floor muscles after the contraction. Repeat 10 times. Try to do four to five sets a day. Besides the five best exercises, you can also do various physical activities in daily life. Walking to grocery stores, raking your yard, ballroom dancing and play with your children all count as exercise. If you can do 30 minutes of physical activity every day and include two days of strength training a week, then you have an active lifestyle and can maintain physical and mental health.